Fair season is upon us and with that, comes the hectic nature of the fair. Many of you will be exhibiting the animals or projects that you have spent countless hours taking care of. When you get to the fair with your animals or project, you may find yourself a little more stressed than normal. Maybe you are behind schedule, or your animal got out of its pen last night, or you are tired of all the people in the barn that seem to be in each other’s way. In those stressful moments, remember that you are an FFA member. You will be around many younger kids who have far less experience than you, and I challenge you to put them first. 4-H kids are looking up to the FFA members and are learning from you. FFA members, you will have far less trouble unloading your pigs or washing your calf than the younger kids, so let them go first. Hold the gate open for them when they are struggling and help show them what it means to be a FFA member. You set an example for the younger kids of how one should act in and out of the show ring. 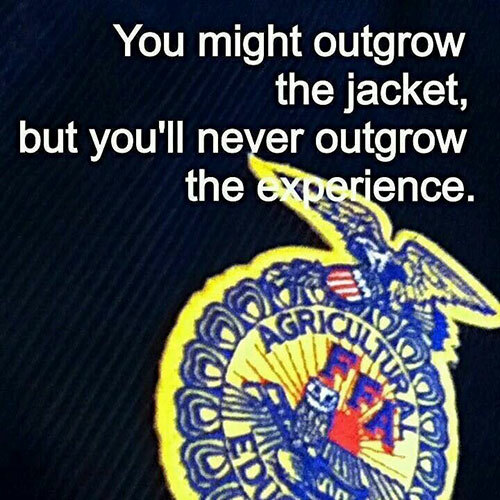 Remember that we represent the FFA Organization whether or not we are wearing our jackets. Therefore we need to all do our best to help everyone have a positive experience at the fair. JEFFERSON CITY, MO. – The 2018 Drive to Feed Kids officially kicks off today. The goal for this collaboration is to raise funds to provide food for hungry Missouri children, pack 100,000 nutritious, kid-friendly meals at the Missouri State Fair and to stand in the gap for the Missouri children who face food insecurity. 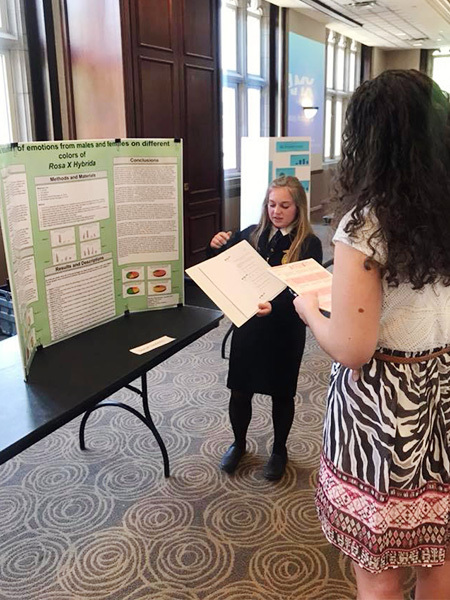 In 2017, Missouri Farmers Care (MFC) launched Drive to Feed Kids to combat childhood food insecurity and showcase Missouri agriculture. The inaugural Drive raised nearly $150,000 for Feeding Missouri, the coalition of Missouri’s six regional food banks, provided 52,000 nutritious meals and 9,000 pounds of food donations to Missouri children who face hunger on a regular basis. According to the latest data from Feeding America’s “Map the Meal Gap”, there are more than 240,000 children in Missouri who don’t know where their next meal will come from. Missouri counties with the highest rates of food insecurity are disproportionately rural, where one out of every three children faces food insecurity. Events of the 2018 Drive to Feed Kids will take place on Tuesday, Aug. 14, at the Missouri State Fair in Sedalia, in conjunction with the Missouri FFA’s Food Insecurity Day when hundreds of FFA members from across Missouri will work side by side to package 100,000 meals. The Drive will culminate on Saturday, Aug. 18, with a check presentation to Feeding Missouri during the Cole Swindell/Raelynn concert at the Fair. Missouri Farmers Care encourages companies and individuals to participate in the Drive to Feed Kids by becoming a sponsor. If you would like to partner with MFC to benefit the Drive to Feed Kids, contact Ashley McCarty, MFC executive director, at ashley@mofarmerscare.com. Individual donations can be directed to http://mofarmerscare.com/drive. All proceeds will be dedicated to Feeding Missouri network food banks who work daily to alleviate against childhood hunger. 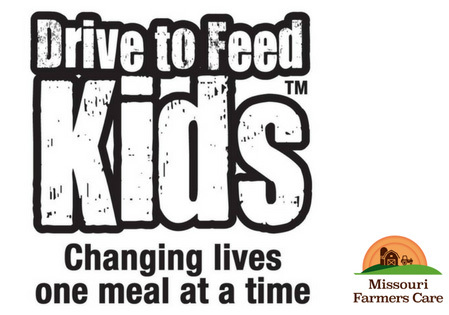 To learn more about Drive to Feed Kids, visit www.mofarmerscare.com/drive. Sixty-six FFA members from across the state participated in the Missouri FFA Public Speaking Academy held June 5-7, 2018 on the University of Central Missouri campus. 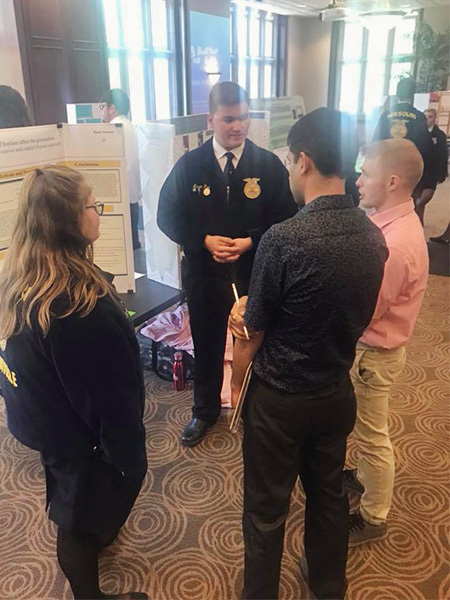 The Missouri FFA, along with Case IH, made it possible for FFA members to benefit from the professional staff at University of Central Missouri. 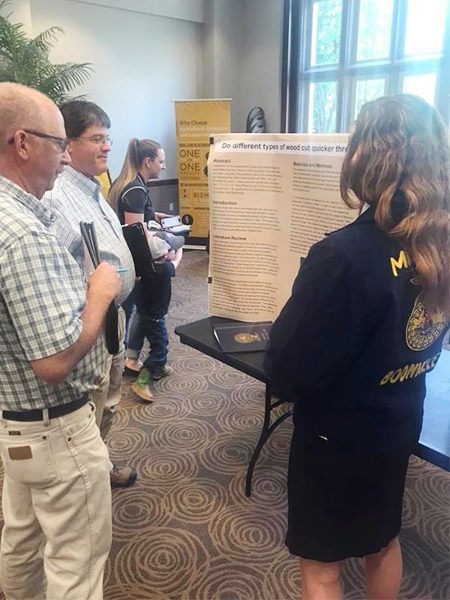 During the three-day event, FFA members used the Internet and other communication technology to develop and refine an effective speech. Dr. Terry Cunconan, Dr. Wendy Geiger, Dr. Sam Cox, and Dr. Nikki Freeman from the University’s Speech Communication Department conducted the three days of intense learning. The academy was designed to help FFA members increase their confidence, develop organizational skills, use language effectively, analyze audiences and improve speaking skills by judging themselves honestly and critically — while keeping a positive attitude. Each student presented his or her speech in competition at the conclusion of the academy. for this year’s academy. 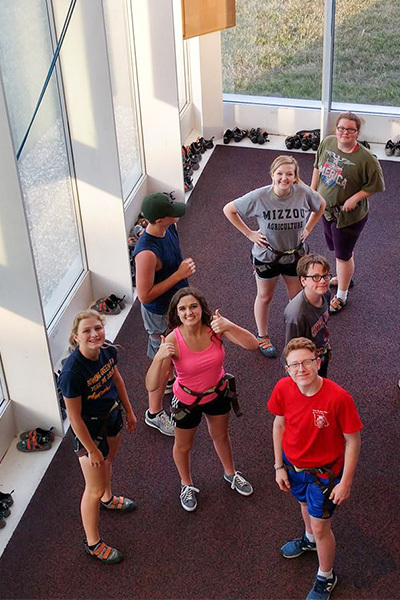 The academy was also sponsored by Seitz Fundraising, Harmison’s Hometown Fundraising, University of Central Missouri Communications Department and UCM’s Ag Club, and the Missouri FFA Association. served as a valuable intern for the event. The Conference Coordinator for the academy is Marie Davis, Northeast District Supervisor for Agriculture, Food and Natural Resources Education in Missouri’s Department of Elementary and Secondary Education. The Missouri FFA has 25,375 members representing 343 chapters. The National FFA Organization has more than 653,000 members representing 8,568 local chapters in all 50 states, Puerto Rico and the U.S. Virgin Islands. Missouri FFA ispulling together details for our second Food Insecurity Day at the Missouri State Fair. First of all, we are pleased to partner with Missouri Farmers Care, Missouri State Fair, The Food Bank of Central & Northeast Missouri, Meals of Hope and Feeding Missouri on this and other events at the MSF this year in regards to Food Insecurity. We plan to pack 100,000 Meals at the Missouri State Fair on Tuesday, Aug. 14, 2018. These meals will stay in Missouri; in fact the goal is to work to get at least 15,000 to 20,000 meals to each of the six food banks located in the state (truly a state effort). This day is also the Missouri Farmers Care Food Drive Day at the Fair. Missouri Farmers Care has been gracious enough to again add our sponsorship needs to their efforts as they are working to raise $250,000 for the Backpack program in Missouri. We have been included in this effort and we need to provide FFA members to assist with various activities during the Fair in return. What does the Food Insecurity Day look like on August 14, 2018? THERE ARE MODIFICATIONS FROM LAST YEAR. We heard that an 8 a.m. start was difficult for some chapters to fascillitate, so we are working to adjust our schedule and MSF and MFC are behind us 100 percent. We have scheduled two packing shifts this year. 5:30 pm – Sponsors dinner with speaker Diane Sullivan – Invite only!! Thank you for service to FFA members across the state. Anyone who knows me, knows that I love to watch movies. Upon viewing the opening scene, I become completely immersed in the characters and the plot. Much like a movie, our lives are a series of events. The cool thing about your movie is that not only are you the main character, you are also the director. While the director does not always get the opportunity to write the story, they are given the responsibility of deciding how the script will play out on screen. 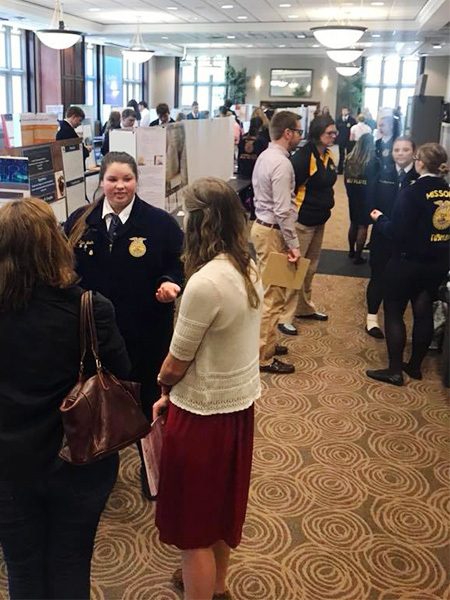 May marks the time when FFA members across the state reap the rewards of the hard work sown throughout the year at their chapter’s annual banquet. Think of your chapter banquet as marking the end of a movie, one hopefully filled with scenes of great memories and successes. But remember, just because the final credits for one movie have been written, it doesn’t mean the story is complete. It just means you now have the opportunity to direct your sequel — whether that be accepting new roles and responsibilities within your chapter, forging deeper into your supervised agricultural experience, or, like me, heading off to college for brand new adventures. As FFA members we understand the importance of working to better ourselves, and in the coming year it is your responsibility to make sure this happens in your life. So, take the opportunities you are given to cultivate your tomorrow, today! This year, the Missouri FFA Association is pleased to recognize Mr. Andrew McCrea for his service to agricultural education and the Missouri FFA. Andrew McCrea is a farmer and rancher, an award-winning radio and tv broadcaster and a nationally-recognized speaker. 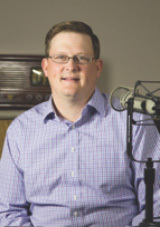 He is the host of the nationally-broadcast radio feature, The American Countryside, a program that has won five Oscars for rural and agricultural broadcasting. McCrea has interviewed hall of fame sports stars, Emmy and Grammy winners and even been body slammed by professional wrestlers! His broadcasting work has taken him to all 50 states and six continents to interview thousands of guests for his program. The American Countryside is unique in broadcasting because all of the interviews are done on location. His broadcasts are heard daily on nearly 100 radio stations and Sirius XM satellite radio. The television version of the show is a regular feature on U.S. Farm Report. In addition to McCrea’s broadcasting duties, he continues to own and manage the farm and ranch where he was born and raised. McCrea Farms operates nearly 4,000 acres of crop and pastureland in northwest Missouri raising corn, soybeans and beef cattle. A past chairman of the Missouri Beef Industry Council and representative to the U.S. Meat Export Federation, McCrea remains active in a number of agricultural groups, both as a participant and as a frequent speaker. 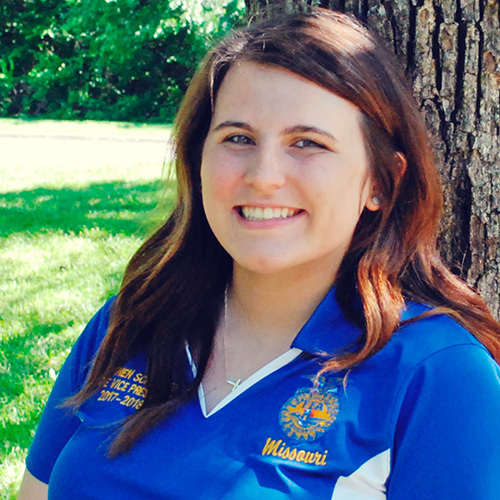 McCrea’s past is rooted in Missouri FFA, beginning with the King City FFA Chapter in the late 1980’s. He served as the 1991-92 Missouri State FFA President and 1993-94 National FFA Secretary. He also worked as a trainer for National FFA from 1995-2005 and continues to assist the organization with national officer training and behind-the-scenes work at National FFA Convention. 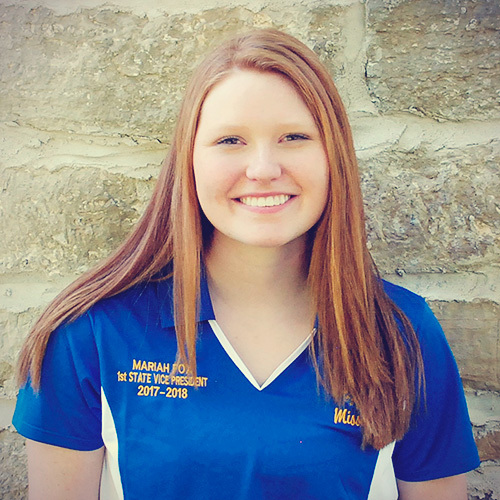 Since 1996, McCrea has conducted Missouri FFA State Officer Training, in addition to working with state officers in Illinois and Arizona. 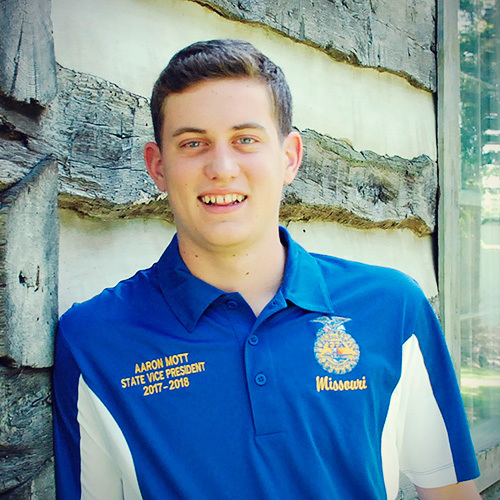 He is the Missouri State FFA Convention manager and is the director of both Area Officer Institute and Public Speaking Institute. McCrea has received the chapter, state and American Honorary FFA Degrees. McCrea and wife Paula, along with children Luke and Allison, reside near Maysville, Missouri, where they are the fifth and sixth generations to operate the family farm. He’s quick to credit his VERY supportive wife, kids and father who handle the chores at home while he travels. The Missouri FFA extends a special thank you to Andrew McCrea for his many years of service to agricultural education and the Missouri FFA. 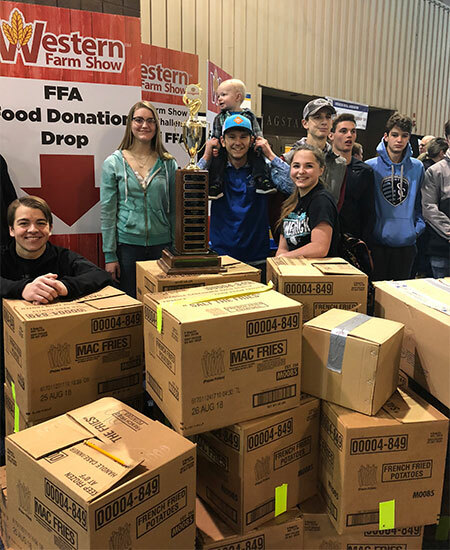 FFA students from Missouri and Kansas collected an impressive 4,457 food items for an annual food drive at the recent Western Farm Show. The food cans and other non-perishable items have been donated to Harvester’s – The Community Food Network, a regional food bank serving a 26-county area of northwestern Missouri and northeastern Kansas. The FFA donation totaled 2,334 pounds, which Harvesters says will provide 1,945 meals. Each year, participating bi-state FFA chapters collect food items in their local communities and deliver them to the Western Farm Show, which is held at the American Royal the last weekend in February. For the 2018 food drive, 14 Missouri chapters delivered 3,613 items and six Kansas chapters accounted for 844 items. Produced by the Western Equipment Dealers Association, the Western Farm Show also features the latest farming and ranching equipment, livestock demonstrations, cooking shows and a Health and Safety Roundup, as well as other attractions for farming and ranching families. Plans are well underway for the 90th Annual Missouri State FFA Convention, which will be held April 19 – 20, 2018 in Columbia, Mo. As Missouri FFA celebrates this milestone of 90 years of making a positive difference in the lives of students, we are also excited to announce a special event for Past State FFA Officer Teams. In the past, we have invited past officer teams to join us at State FFA Convention on their 5, 10, and 20 year reunions. However, as State Staff, we have decided to focus this year on a larger gathering of past officers to help celebrate 90 years of Missouri FFA and to help you re-connect with your State Officer friends. FFA Career Show at the Hearnes Center Field House which runs from 9:00 a.m. to 3:00 p.m. In addition to hosting this special event, we would also like to help re-connect you with each other and Missouri FFA. Please take a couple of minutes to follow this link below where you will be asked to provide your contact information and RSVP for this event. Not only will this help us with planning for your attendance, but will allow us to have a better database for contacting you in the future. Please note, we are trying hard to reach as many past officers via email, however, our list of contact information is not complete. If you have contact with your fellow past state officers, please share this information with them. I hope you will be able to join us as we celebrate 90 years of Missouri FFA. 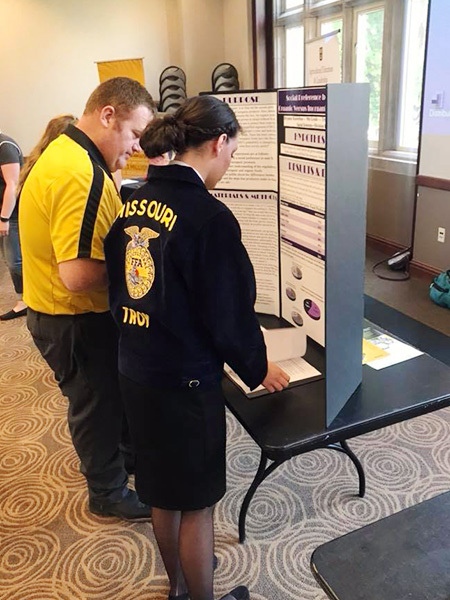 From special guest speakers to leadership workshops to the career show and career development event competition, FFA members from across the state will meet in Columbia, April 19-20 for the 90th Missouri FFA Convention. Never give up. It’s a common phrase we often take for granted. But motivational speaker and Missouri native Carey Portell lives it every day. 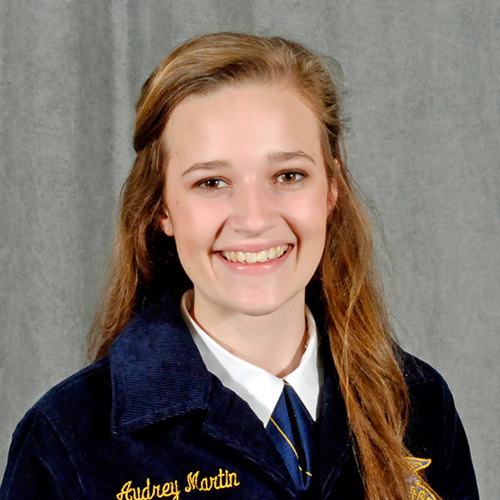 As she headlines this year’s state FFA Convention, Portell will inspire FFA members across the state to push their limits and, most importantly, never give up. After Portell and her children were involved in a fatal drunk driving collision, she was left with partial disabilities, even after a four-year recovery. 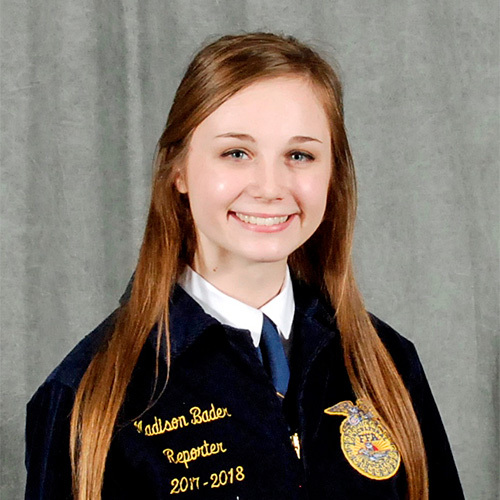 Connecting with agriculture and assisting on her family’s cattle operation has given Portell hope. She claims farm work as her physical and mental therapy. Portell travels nationwide to share her story. Additionally, Portell shares how farming has given her a focus and a feeling of life again. She enlightens listeners with her sense of perseverance and persistence. 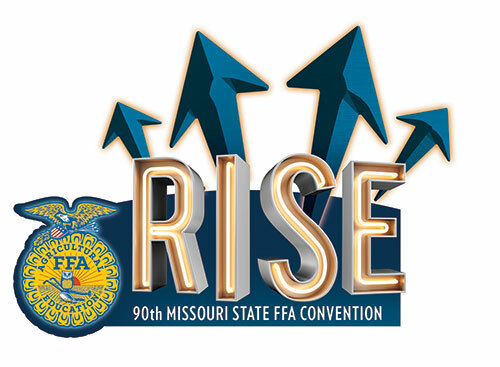 Themed “Rise,” this year’s state convention also features award presentations, career development events, workshops and the ever-popular FFA Career Show. Missouri also welcomes National FFA Western Region Vice President Bryce Cluff of Queen Creek, Arizona, to the convention. Cluff credits the blue jacket as the foundation of his core values and beliefs. “I often have seen my service-driven attitude come out in my everyday life,” Cluff said. 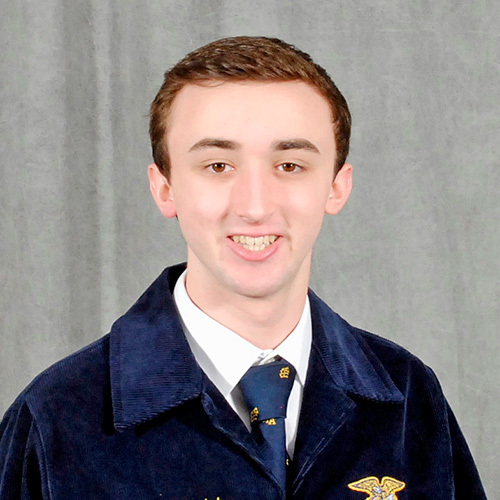 Hailing from an urban background, Cluff worried about creating a successful supervised agricultural experience program when he entered high school. On a whim, Cluff purchased a male Pekin duck from his local feed store. Quickly, he found passion and diversified his operation into a backyard full of poultry in every variety. “I developed my business skills and learned how I could challenge myself to become a better agriculturist,” Cluff said. Cluff’s experiences in the National FFA Organization have inspired him to become an agriculture educator and FFA advisor in rural or Native American chapters. 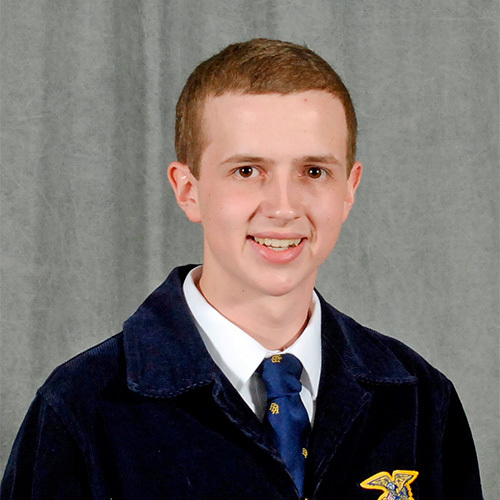 Throughout his year of service as a National FFA Officer, Cluff says he hopes to grow alongside FFA members from a wide variety of backgrounds. In addition to these guest speakers, the 90th Annual Missouri FFA Convention will feature leadership workshops for members. The FFA Career Show also gives students and guests the chance to learn about agricultural businesses, organizations, colleges and universities and more. 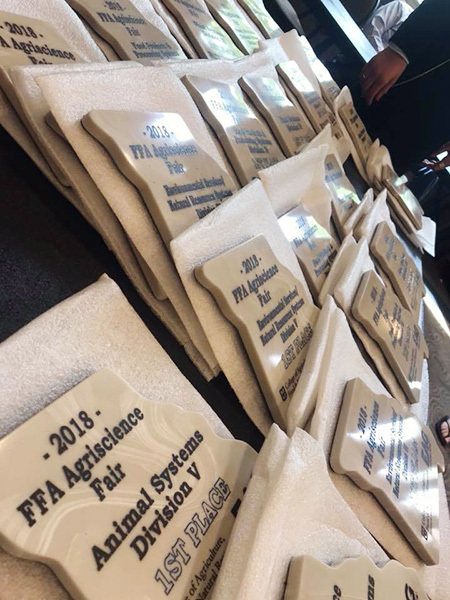 Additionally, Missouri FFA will recognize the State Star Farmer, State Star in Agribusiness and State Star in Placement as well as present more than 750 State FFA Degrees to deserving members statewide. More than 8,000 people are expected to be in Columbia at the University of Missouri Hearnes Center for the state’s largest FFA event.